One major attribute of the doctor of pharmacy degree (PharmD) is the numerous and diverse jobs that graduates can select from. In fact, many of my cohorts have tried several different types of jobs before finally settling on a career path. The more popular jobs are in retail pharmacy and hospital pharmacy practice. Clinical pharmacy and ambulatory care added more job options. Pharmacy schools primarily educate pharmacists to practice within patient care settings. However, there is plenty of opportunity outside of patient care settings. 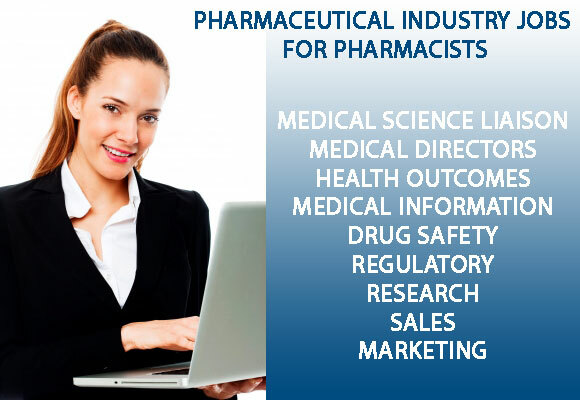 The pharmaceutical industry (Pharma) presents many options for pharmacists. It is interesting that the pharmacy profession is dependent on the pharmaceutical industry yet many pharmacy schools do not expose their students to pharmaceutical industry jobs. For many years, the pharmaceutical industry has been considered the “dark side” by many in the pharmacy profession. If you do not subscribe to the notion that the pharmaceutical industry is evil, and you have the right skills, interest, and disposition, then you have a career waiting for you. Pharmaceutical companies have many jobs that are a close match with PharmD training. Some entry level jobs are available immediately after graduation, but many jobs require a fellowship/residency, experience, or additional credentials. A pharmacist license is not required for pharmaceutical industry jobs. You can start at an entry level position and within a few years you can surpass colleagues in retail and hospital pharmacy in job satisfaction, compensation, responsibility, and career prospects. At a time when traditional pharmacy opportunities are shrinking the pharmaceutical industry is a good sector for a long term career. Here are examples of pharmaceutical industry jobs (Pharma jobs) for pharmacists. Select links to view job openings for each type of job across the country.